Endoscopic ultrasound-guided fine needle aspiration (EUS-FNA) has been established as a method to obtain tissues of various organs. To obtain sufficient tissue has clinical impact to facilitate the diagnosis by clinical pathologists, the assessment and subtyping of various neoplasms, and for further immunohistochemical investigations of tumor type. Recently, a novel 20G core trap with a forward-cutting beveled FNA needle (ProC-F) has become available. The aim of this prospective study was to evaluate the feasibility and diagnostic yield of EUS-FNA for pancreatic lesions using this needle. In this study, the first puncture was performed using the ProC-F. Only tissue obtained with the first puncture using the ProC-F was used to evaluate diagnostic yield of ProC-F. The second puncture was performed using a 22G standard FNA needle using the same technique as for the first puncture. Second puncture was performed if the endosonographer did not feel that sufficient tissue had not been obtained by first puncture. Fifty-three consecutive patients who underwent EUS-FNA for pancreatic lesions were prospectively enrolled. The technical success rate of EUS-FNA using the ProC-F was 98.1% (52/53). The rate of adequate tissue obtained by ProC-F was 96.2% (50/52). On the other hand, the rate of adequate tissue obtained by the standard needle was 71.1%. The sensitivity, specificity, negative predictive value (NPV), positive predictive value (PPV), and accuracy of the ProC-F and the standard needle were 92.5, 100, 100, 76.9, and 94.0%, and 85.2, 100, 100, 55.6, and 87.5%, respectively. Diagnostic yield of ProC-F about sensitivity (P = 0.027), NPV (P = 0.035), and accuracy (P = 0.004) was significantly higher than of standard needle. Adverse events were not seen in any patients. 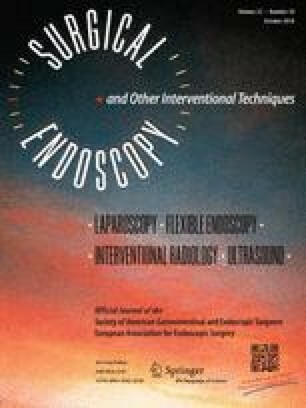 Although only tissue obtained by the first puncture was evaluated, the rate of adequate tissue and the histologic diagnostic yield for pancreatic lesions were extremely high using the ProC-F.
Nobu Nishiok, Takeshi Ogura, Yoshitaka Kurisu, Miyuki Imanishi, Saori Onda, Wataru Takagi, Tatsushi Sano, Atsushi Okuda, Akira Miyano, Mio Amano, and Kazuhide Higuchi declare that there are no conflict of interest or financial ties to disclose.